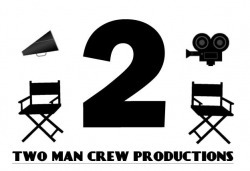 TWO MAN CREW PRODUCTIONS is a new, creative and dynamic independent film and commercial production company. Located in New Jersey, the birthplace of motion pictures. Just minutes from New York City, the film, commercial and fashion center of the world. Two Man Crew Productions developed and produced the independent short film "THE WATCHERS". We have several new projects in the works for 2011. We will be adding new tabs with information about our upcoming film projects, production services that we will offer, and commercial projects.